Thermoplasty could be the answer to alleviating asthma, especially those that are severe and cannot be effectively controlled by drugs. The drug-free treatment uses blasts of heat to "burn away" lung muscle, making it harder for the breathing tubes to narrow when irritated and thus allowing asthma sufferers to breathe more easily. Researchers from Glasgow University and the US have tried the technique on about 300 asthmatics whose symptoms could not be controlled by drugs. Two thirds were given thermoplasty and has shown 32 per cent fewer attacks and 82 percent fewer visits to A&E compared to the rest who weren't given the treatment. However, there are side-effects to this treatment. Some volunteers got infections and others even found that their asthma symptoms worsened. Leanne Male, of charity Asthma UK said: "Although recent research has shown that in the short term bronchial thermoplasty can make asthma symptoms worse, sometimes even leading to hospital admissions, the long term benefits look quite promising. 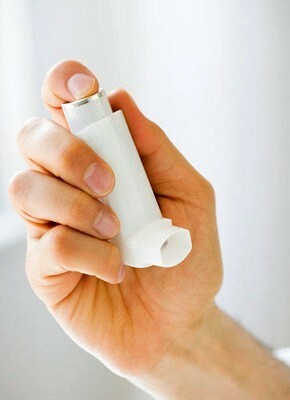 The possibility of having found an effective treatment for severe asthma is exciting. And although it is too soon to say anything, we're keeping our fingers crossed that maybe in a few years, who knows. They could find an answer to asthma treatment.